Italy’s third largest city is more well-known for its long association with pizza and its rich Neapolitan style cuisine than it is for the magnificent tourist opportunities that surround it. 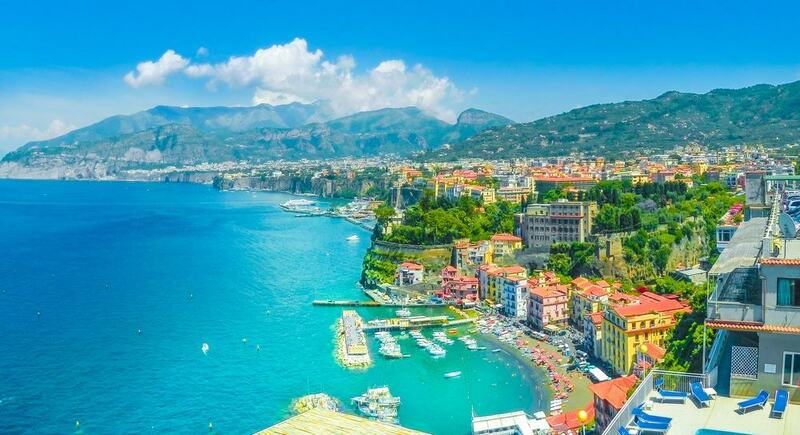 But once you have gorged endlessly on some of the country’s finest Italian dishes and seen all that Naples has to offer, hit the road and travel to the surrounding areas to experience the best days trips available in this spectacular part of the country. From the serene views of the Amalfi Coast to the simmering crater of Mount Vesuvius, Naples is a city surrounded by natural beauty. There are the world famous historic ruins of Pompeii and Herculaneum to explore, the unreal landscapes of the Phlegraean Fields and the charming streets of Sorrento to discover. The day trip opportunities from Naples are wonderful, and here are the best of them. 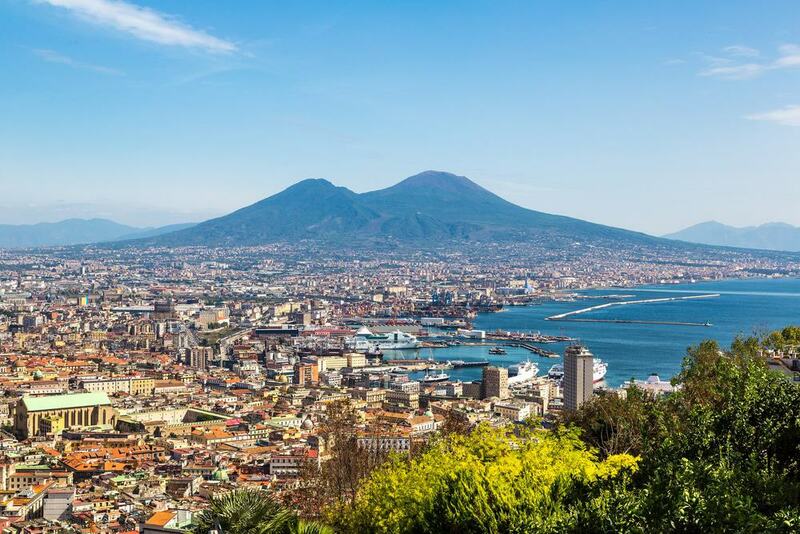 Naples lives in the shadow of the towering, striking Mount Vesuvius. It is Europe’s only active volcano and is a powerful force of nature that has in the past caused much destruction to the surrounding area. The most famous eruption, of course, destroyed the Roman city of Pompeii in 79 AD. The city was covered and buried in ash and dust, remarkably preserved, and then for centuries forgotten about. 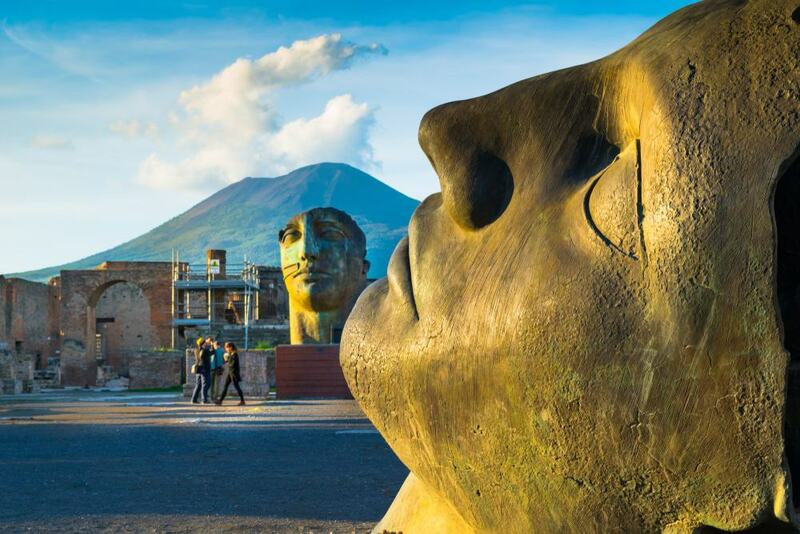 Its rediscovery in the 18th Century led to Pompeii becoming a huge tourist attraction, something which has only grown since, meaning that it is now one of the most important and visited historic sites in Italy. This UNESCO World Heritage site is an intriguing look into the lost lives of Roman citizens, and the best day trip possible from Naples. Best book a tour or ticket online to avoid the lines. Less famous than nearby Pompeii, Herculaneum was another Roman city that was unfortunately destroyed in the 79 AD eruption of Mount Vesuvius. The ruins of this ancient city have also been preserved from the ravages of time by the volcanic eruption which buried it. 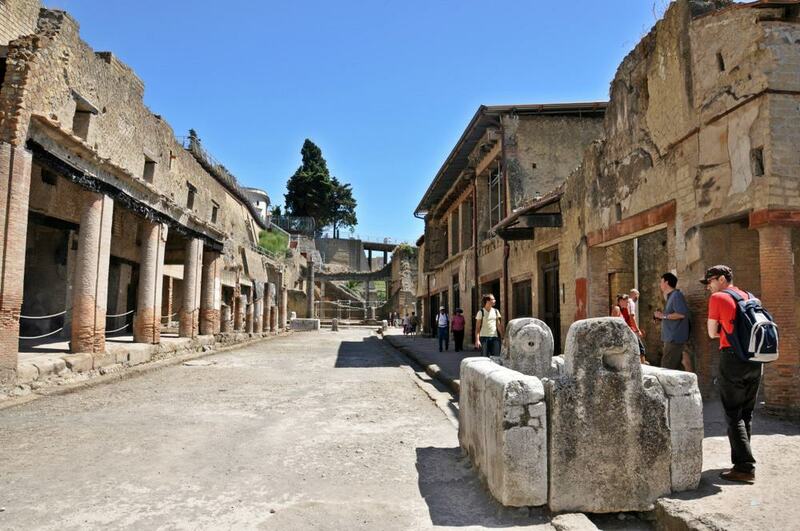 Herculaneum was a prosperous place and its beautiful location along the Italian coastline made it a favorite spot for Rome’s rich nobility to build lavish villas. Many of these today can be found in an unusual state of preservation, as can numerous skeletons of the Roman citizens who actually lived here thousands of years ago – all of which can be explored on a trip to this UNESCO World Heritage Site. Of course, once you have seen the ruins of the cities that were destroyed in the eruption, and witnessed the damage that it caused thousands of years ago, it’s time to actually explore the volcano itself. Mount Vesuvius dominates the skyline – not only from the Roman ruins but also from the modern city of Naples; it stands some 1200-meters tall. This active volcano can even be hiked via a steep and somewhat challenging trail leading to the top, which can easily be tackled in a few hours return trip. It’s an amazing hike to undertake – near the huge crater that’s found at the summit, you can begin to feel the powerful geothermal energy below your feet, and even in some places see the gases venting from the ground. It’s nature at both its finest and most nerve-wracking, but an experience that should not be missed. Just an hour’s drive away from Naples – facing the city over the calm waters of the sheltered Bay of Naples, the quaint, historic streets of Sorrento are waiting to explored. Located amongst beautiful surroundings, right on the tip of the southern peninsula which helps to protect the bay itself, Sorrento couldn’t be in a more dramatic location. Huge cliffs offer exceptional views over the coastline, while Mount Vesuvius is always looming in the distance. Many people will visit not for the vistas, but to walk the medieval-era streets, see the famous Piazza, and immerse themselves in the unique cultural relics of this famous Italian city. 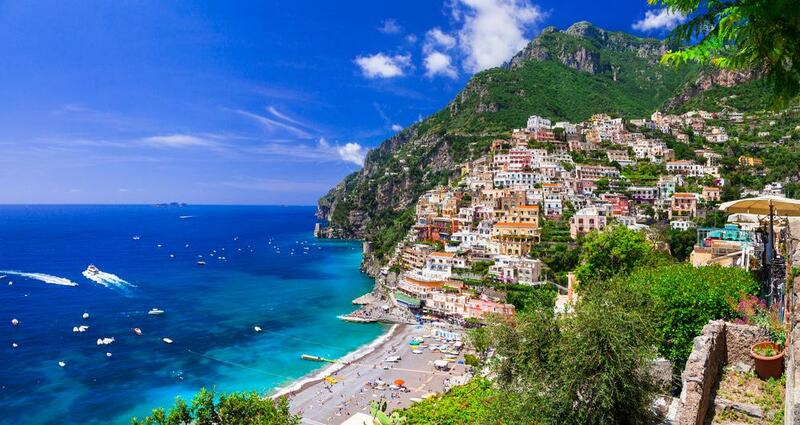 Found on the spectacular Amalfi Coast just a short journey south of Naples, Positano is one of the most well-known and charming Italian villages in the region. It really is a small place, with a population of just a few thousand residents, but the fact that the village has featured in huge Hollywood movies over the years means that it receives many more visitors than that each year – particularly in the long, glorious summer season. 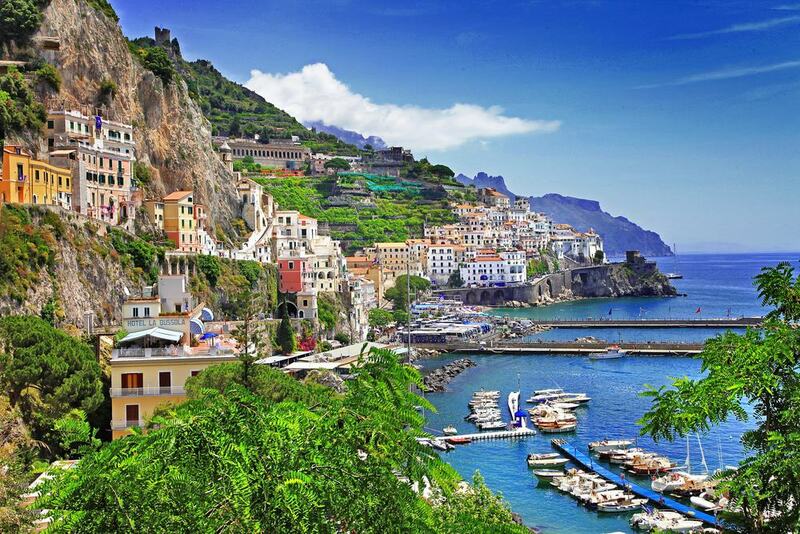 Its fame is well warranted; Positano is found nestled along the coast amongst incredible scenery. It’s the picturesque Italian village you imagined. In fact, it’s the Italian village that sets the precedent for beauty. Looking out over the Bay of Salerno and stretching for around 50-kilometers along some of Italy’s most spectacular coastline, the Amalfi Coast is just begging to be explored. Packed with many small Italian villages and towns – including the famous Positano – the Amalfi Coast is listed as a UNESCO World Heritage Site because of its huge cultural and touristic importance. The coast is full of sweeping views, tall cliffs, and ramshackle, colorful villages. You could spend day after day exploring the twists and turns of the coast and trying the best of the area’s most famous exports – lemons and Limoncello. 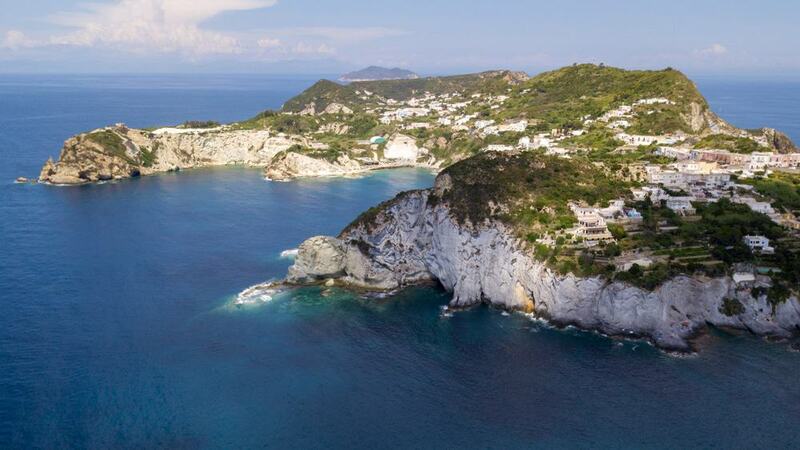 Found in the Gulf of Naples, a short boat ride away from the city of Naples, Capri is an island that has gained itself a somewhat legendary status amongst travelers visiting the region. 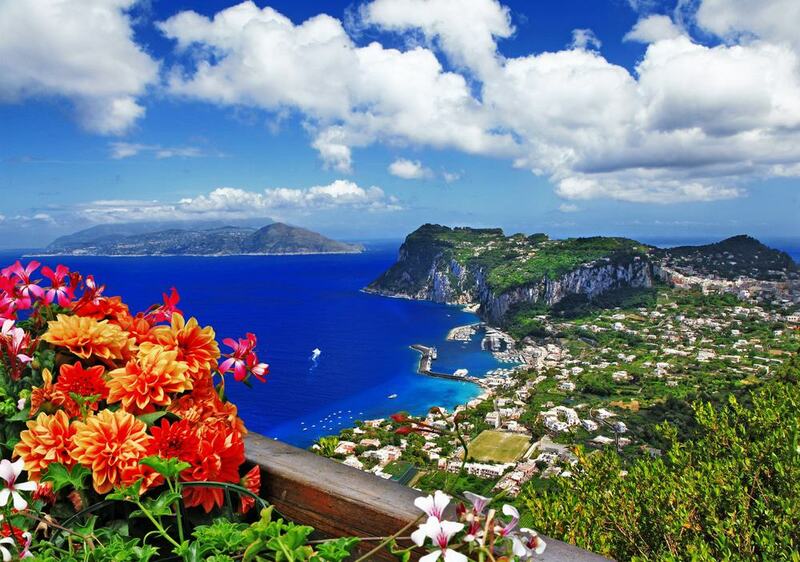 Capri Island really is nothing new; the Romans used it as a resort and tourists have been coming here for centuries. That’s because the exceptional beaches and high, rocky cliffs never seem to get old. Explore the outrageously good-looking island and make sure to visit the unreal Blue Grotto – an underwater cave where the light and water mix to produce a vibrant, azure hue. You might be visiting on a day trip, but be warned, you might not want to return to Naples. 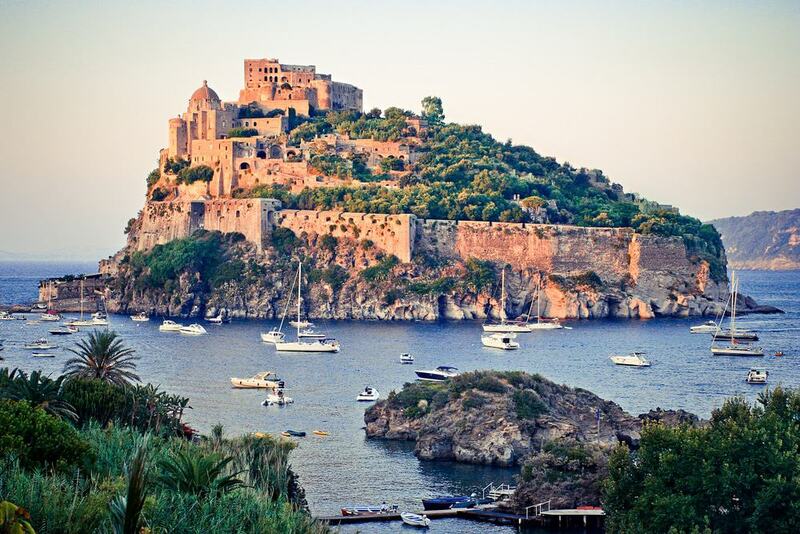 Also found in the Gulf of Naples, Ischia is another of the region’s most famous and breathtaking islands that’s ready to be explored on a day trip from Naples. Like many of the islands along the coast, Ischia’s stunning beauty has meant that it has long been visited as a tourist attraction, however, compared to some of the busier islands, Ischia still has a sense of its rugged, wild past waiting. The Aragonese Castle stands tall on a rocky outcrop at one end of the island, while there are thermal spas, beaches and endless sea views awaiting anyone making the crossing from Naples. 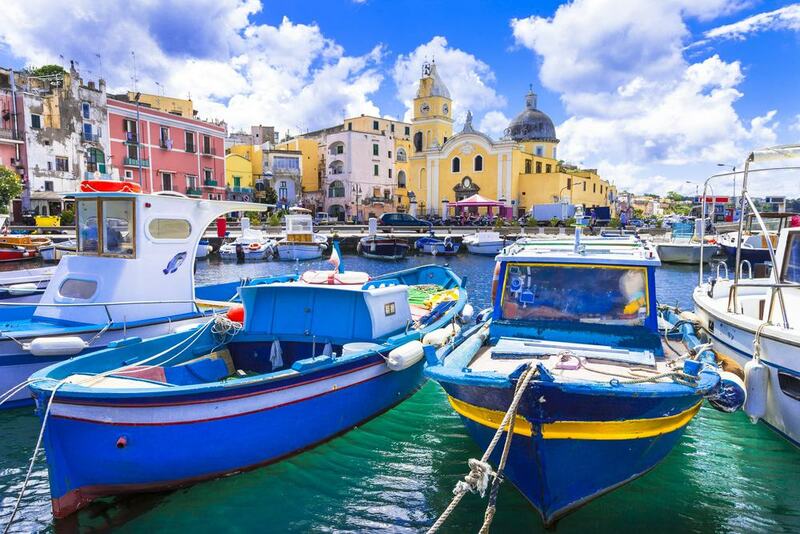 Found half way between the Italian mainland and Ischia Island in the Gulf of Naples, Procida is one of the smaller islands along the coast, but also one of the islands that has attracted much less attention and tourism over the years. That’s just great, because if you are looking for a quieter, much more authentic island day trip from Naples, this is the place to visit. The island is home to colorful, coastal villages and towns, while the scenery is as good, if not better than its more popular neighbors Ischia and Capri. Much further from the mainland than the rest of the islands in the Gulf of Naples, the Pontine Islands are about as untouched as it gets when it comes to tourism in the region. This collection of small but beautiful islands lies to the north, and although they have long been a favorite getaway for locals, they have yet to hit the radar of mass tourism. They are more difficult to reach, but the raw scenery is spectacular, with hidden coves, pristine beaches, and a laid-back feel. 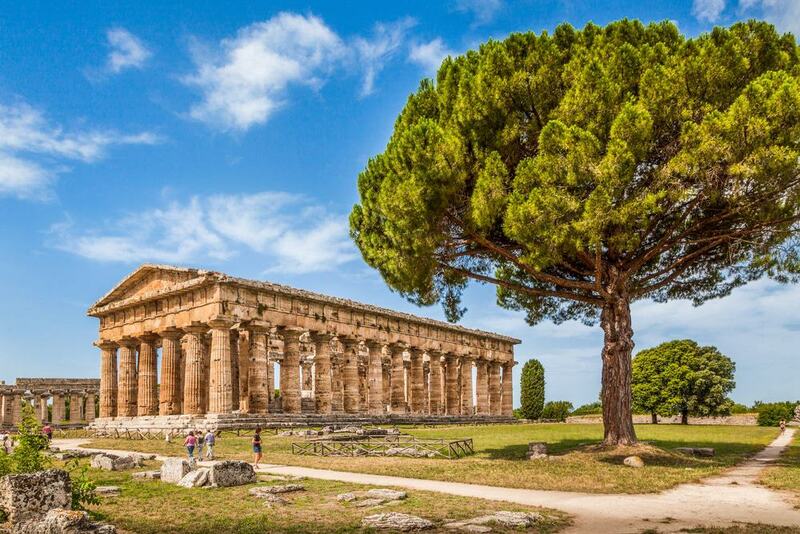 Paestum is an eye-opening archeological site housing the ruins of an ancient Greek city – yes, Greek, not Roman – which was built here around the 5th Century BC. The city was eventually conquered by the Romans before its decline and eventual abandonment. The site is home to some of the largest and best preserved Greek temples in the Mediterranean, with three enormous pillared temples still standing in the area. It’s a great insight into the long and varied history of the region. 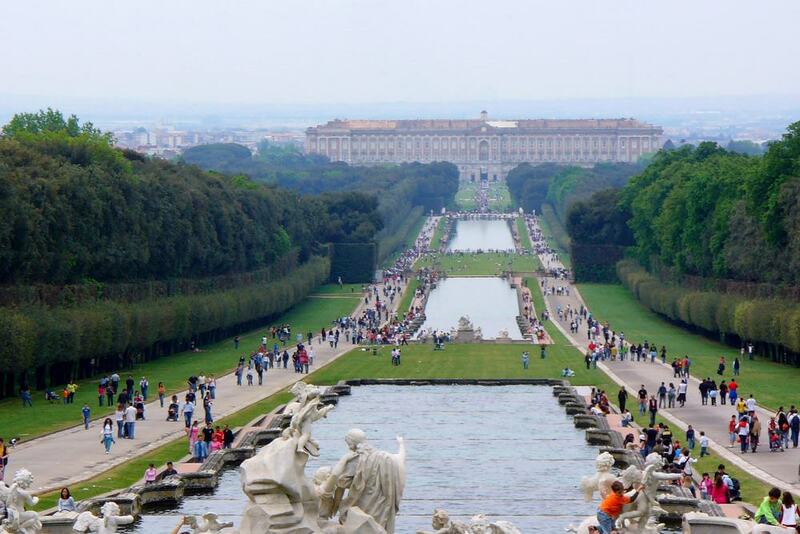 The grand opulence of the Royal Palace of Caserta makes for an unusual day trip away from Naples in comparison to the usual trips to Roman ruins and scenic coastlines, but this historic and important building shouldn’t be missed. Found just a short drive outside of the city, this was built in the 18th Century and is one of the vastest palaces in Europe. 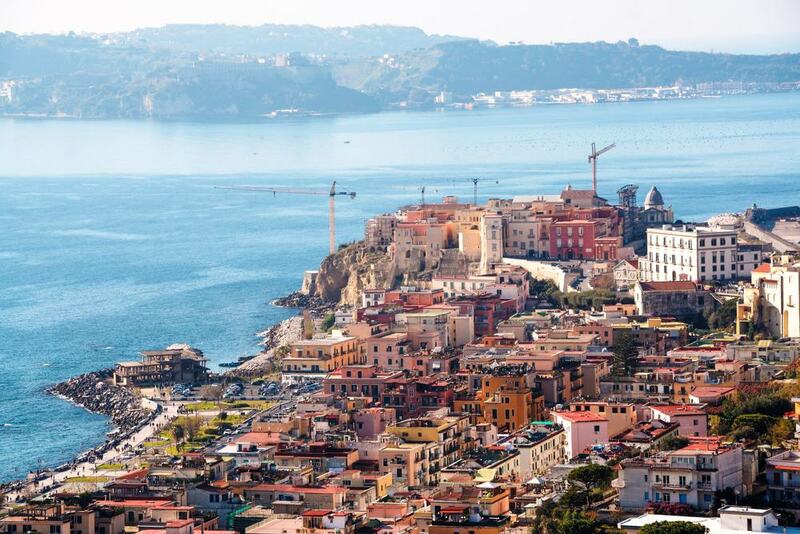 Just along the coast from Naples, you can find Pozzuoli. It’s close to Naples but has its own character and charm that needs to be explored on a day trip. Like much of the region, the city is rich in history and culture, with many archaeological sites and ruins to explore – including an exceptional amphitheater. The Phlegrean Fields is a relatively under-visited area of superb natural beauty, close to Naples in the same location as Pozzuoli. This is a volcanic region, where many unusual sights can be seen, as well as ruins and quaint Italian villages that most tourists don’t tend to visit, despite being in very close proximity to Naples. 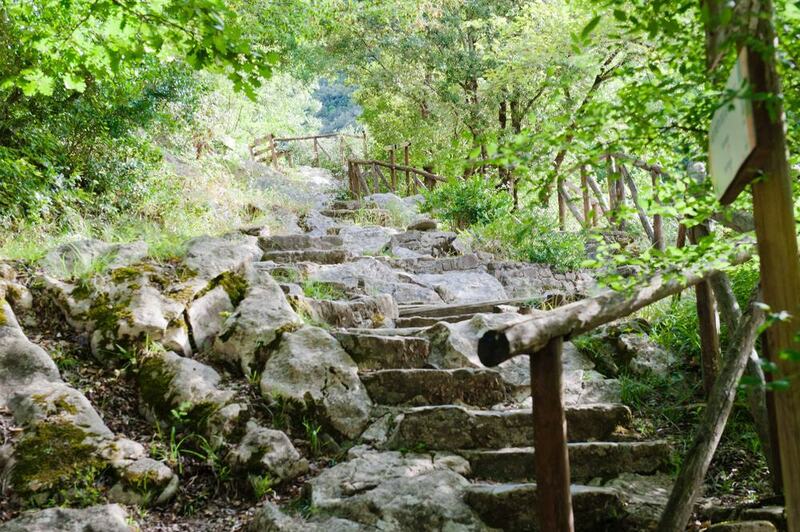 Parco Nazionale del Cilento is found south of Naples, past the usual tourist spots of Mount Vesuvius and Pompeii, meaning it’s a quieter, much more relaxing – if longer – day trip from Naples. This national park includes some of the most beautiful coastline and mountain scenery of southern Italy, and it’s an incredible place to explore, hike, and simply stare in awe at the lovely surroundings.